We have the apartments that will let you feel right at home. Check our available floor plans. 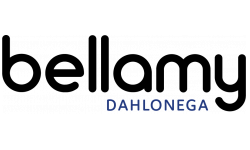 Welcome to Dahlonega's newest and most premier Student Housing community! The Bellamy Dahlonega offers three, four, and five bedroom apartment homes all convenient to University of North Georgia's campus! The Bellamy Dahlonega features a state of the art clubhouse with onsite fitness center, tanning facilities, WiFi cafe and a beautiful crescent shaped swimming pool! This community is gated giving you peace of mind and letting you focus on things important to you. Start your application NOW to get into Dahlonega's hottest student community!